All transactions are safe and secure with a reliable history in online purchasing behind each of our associates. 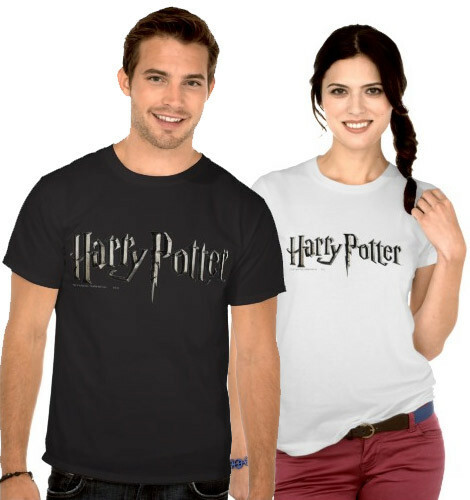 Buy the Harry Potter Logo t-shirt to own Harry Potter clothing and merchandise. Wear this Potter logo design to the next Hogwarts Quidditch tournament. The stylish design will look great hanging in your closet next to your Harry Potter Seeker t-shirt. Wear it to practice chasing the Golden Snitch like Gryffindor's Harry Potter. If you like to ride your Nimbus 2000 broom and score goals, then you're a Chaser. If you like to play goalie, then you have the role of the Keeper. Dress in the Quidditch Harry Potter t-shirts below the next time you use your broom and wand to conjure up another victory for the Gryffindor house. In addition to the Harry Potter Logo tee above, browse the Harry Potter Clothing Gallery for more apparel like men's and women's clothes, kids shirts or hoodies.